March marks Women’s History month and what better way to celebrate than by commencing labor activist and community organizer Mary Harris “Mother “Jones. Jones, who was dubbed as “the most dangerous woman in America” at the ripe age of 60, is better known for her role in organizing the United Mine Workers of America —a group of oppressed mine workers and their families who eventually revolted against mine owners in 1890. 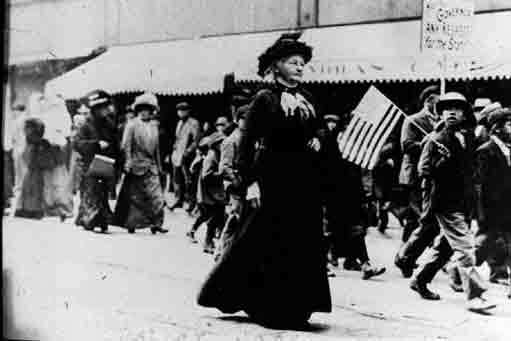 While the miners went on strike, it was Mother Jones who encouraged the men to allow let their wives to fight alongside their husbands in a series of “mop and broom” brigades. Described by historians as a feisty and persistent woman, her impact and significance is immortalized in a song written by singers Ani Difranco and Utah Phillips. There are several other songs that sum up Mother Jones’ life and accomplishments as well like this 1931 track by folktale singer Gene Autry. Experts also speculate that the American classic “She’ll be Coming Around the Mountain” is in fact about Mother Jones and her travels promoting unionization of the Appalachian coal miners. These songs are a fantastic way to get students interactive with the lesson; And unlike when showing a video, the song serves true to one of the oldest forms of storytelling—thus students really need to focus and pay attention to hear what the singers are saying. There are several different activities that can follow after playing these short songs—the obvious would be to simply have a quiz for comprehension. Another activity that students might find more enjoyable however is writing their own song. The song might not have to be necessarily about Mother Jones, but maybe about another historical figure they’d like to highlight for Women’s History Month. Another option that students might also enjoy is writing a news article about a prominent woman in history they’d like to focus on. Mother Jones was the inspiration for a magazine under the same name. The students can pretend they are writing articles for this particular publication. Kings and queens, princes and princesses, counts and countesses – royalty has been a part of our world for thousands of years, and their lives are often intriguing to us all. Even before we had global media, royal weddings and the lives of married members of royal families were always extremely popular. Although word didn’t travel quickly, a famous prince wedding a princess was huge news for people in the respective country of the royals in question and well beyond. After all, we’re speaking about future kings and queens and possible changes in religious laws, territorial disputes, wars, et cetera. With today’s technology and the age of instant and constant media, our fascination with royalty has only increased in no small part due to the global coverage royal weddings receive. Looking at royal weddings and their role in popular culture is important in a social studies or history class because it shines a different light on royalty in general. Instead of viewing kings as iron-fisted rulers and lawmakers, and instead of viewing queens and princesses as merely important women in the backdrop of history, studying weddings actually humanizes royalty and allows individuals to relate with royals. The interest created beyond bland historical timeline facts also makes learning history an entertaining proposition. Asking your class questions about royal weddings is a great way to spark interest and segue into conversation and debate about the role of women in royal culture and how marriage as a concept has changed from culture to culture and from class to class. 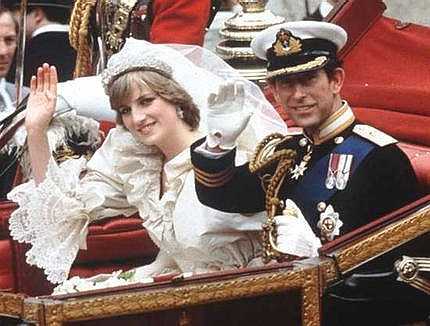 Q: Where and when were Princes Charles of Wales and Lady Diana Spencer married? A: July 29, 1981 in St. Paul’s Cathedral, London, England. Q: What political advantage was sought with the marriage of Marie Antoinette and future King Louis XVI of France in 1770? A: The marriage was to be a show of unity, which would hopefully cement the alliance between Austria and France. However, the French public was against the highhanded rule and the sham marriage and the couple’s reign ultimately resulted in the French Revolution. Q: Who was Shah Jahan of India’s third wife and what monument was built as a result of her death? A: Jahan married Arjumand Banu Begum (Mumtaz Mahal) on May 10, 1612, in Agra, Rajasthan, India. Shah Jahan undoubtedly loved Begum deeply, and after her untimely death he spent over 20 year erecting the Taj Mahal in her honor. Q: As the last tsar and tsarina of Russia, when and where were Tsar Nicholas II and Princess Alix of Hesse married? A: November 26, 1894, at the Grand Church of the Winter Palace, St. Petersburg. Q: What fate did Queen Min suffer after marrying Korea’s King Gojong in 1866? A: Empress Myeongseong, affectionately known as Queen Min, was killed by Japanese assassins during a period of extreme political unrest in 1895. Q: How many wives did King Henry VIII of England have, what were their names, and what fates did they meet individually? A: Catherine of Aragon: divorced in 1533 and died three years later. Anne Boleyn: executed in 1536. Jane Seymour: died shortly after childbirth in 1537. Anne of Cleves: divorced in 1540 after only five months of marriage. Kathryn Howard: executed in 1542. Katherine Parr: widowed in 1547 when King Henry died. This guest lesson plan was brought to you by Simon S. Simon is a freelancer editor who works with a very popular dating sites directory. He can usually be found in his local coffee shop sipping on an espresso whilst busily typing away on his laptop.